I am super excited about Garden 3.0, let me tell you! We were gifted some lettuce by our neighbor and I planted it last week. I wasn’t really sure what to do with it because it needs partial shade and for the most part, we just moved our boxes to full on sun. That is, we thought we had until last evening. 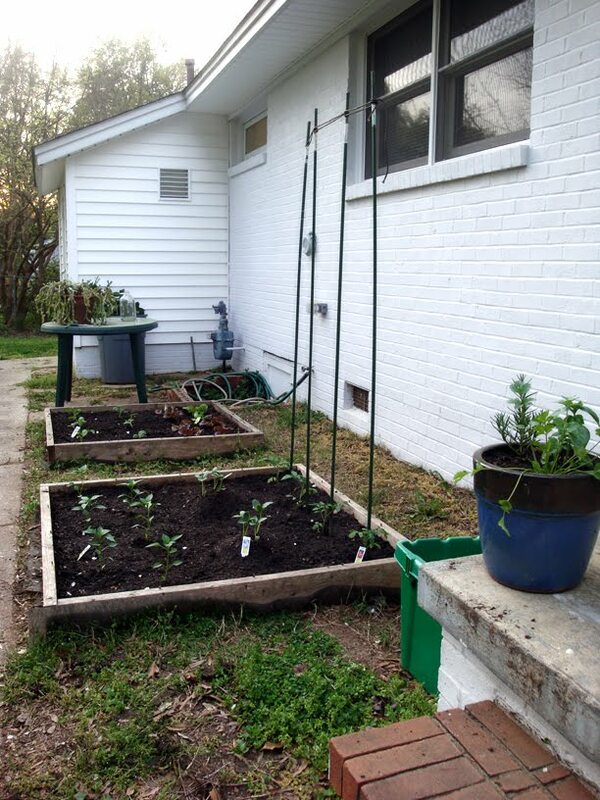 I noticed that the back half of the far box was shaded in the late afternoon, so I moved the lettuce there. 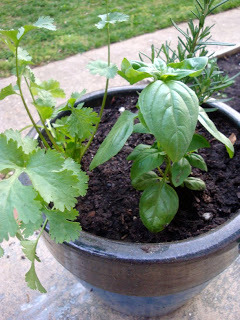 I also decided to pot the herbs instead of putting them in the box with the big kids. I’ve never had a problem with any plants getting choked out, but they are so pretty, I wanted them to stand out a bit. And having them on the back porch makes them even more accessible. April Fools or April Foolish? I just potted a few herbs (never grown herbs before) and put in some seeds. We don't have any plants yet, but I think in a few more weeks we can get those in, too. I'm REALLY excited for this year's garden! Do you always grow Better Boys? I still need to decide what type of tomato plant I want to grow. I feel a salad coming on…. I just put out, oops, help the big bunny put out my daughter's Easter basket and I'm hopping some blogs.